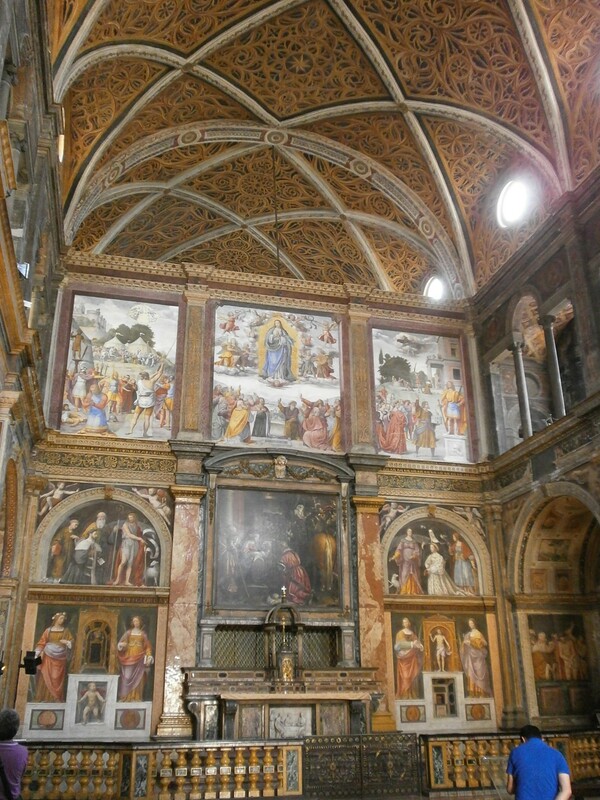 San Maurizio al Monastero Maggiore is a 16th century church with some of Milan’s best frescoes. 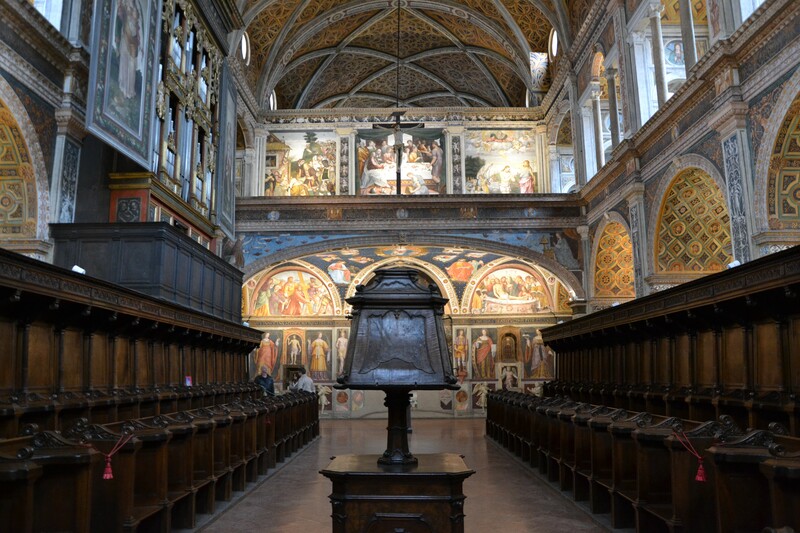 San Maurizio al Monastero Maggiore is a 16th century church with some of Milan’s best frescoes. It was built in 1503 by architect Gian Giacomo Dolcebuono on ancient Roman ruins. The church is divided into two halls. The Convent Hall or Hall of the Nuns is solely reserved for nuns who live at the convent. This hall also contains the choir and an organ dating back to 1550. The other hall is known as the Hall of the Believers or the Public Hall which is where the main altar is and mass takes place. 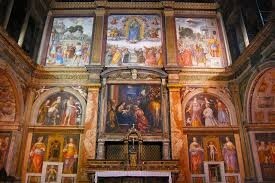 The most exciting aspect of the church is that entire interior is decorated with fabulous frescoes. One of the most famous ones are by Bernardino Luini, a student of Leonardo da Vinci. Visitors are often blown away by the beauty and detail of the frescoes, which makes it such a special place.